Take a look around, and you’ll probably see a lot of Toyota vehicles on the road. This really should be no surprise, since Toyota makes some of the most-reliable vehicles. This means they stay on the road longer. Not everyone likes buying a new car every three years, or making expensive repairs every few months. In New Zealand, Toyota, including the Lexus luxury line, has been the best-selling brand for 26 years running. 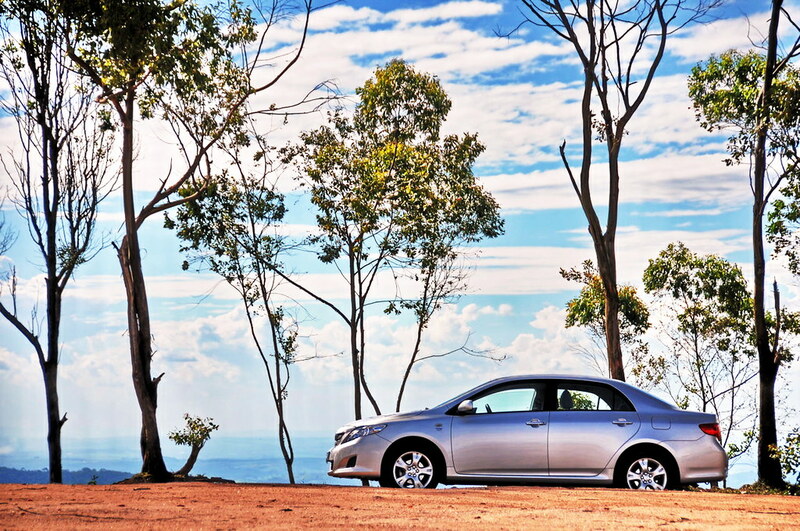 For 2013, Toyota / Lexus captured 21.4% of sales, just under the combined sales of Ford and Holden. In fact, three of the top six best-selling cars in New Zealand are Toyotas, including the Toyota Corolla, in its sixth year at number one, the Toyota HiLux, now 32 years as the best-selling commercial vehicle, and the Toyota RAV4, in sixth place. Ford Ranger came in third, but just barely, Suzuki Swift came in fourth, and Holden Commodore came in fifth in total vehicle sales for New Zealand in 2013. Toyota Corolla has been the world’s best-selling car for over fifteen years, and for good reason. Corolla’s design isn’t cutting-edge, but neither is its offensive, which makes for a nearly-universally-appealing compact car. Corolla has an excellent safety record, five stars on the latest ANCAP (Australia New Car Assessment Program) crash tests. Fuel consumption, in a world of rising fuel prices, is something that Corolla excels at, as low as 5.6ℓ/100km. Interestingly, according to the Ministry of Transport, the average fuel consumption in New Zealand is still around 9.8ℓ/100km, so making a Toyota Corolla purchase just makes great sense for the weekly wallet expenditures. Long-term costs for the Corolla, however, are something that will really make you smile. Toyota manufactures their vehicles for a 400,000 km lifespan. Given that the average New Zealander drives about 12,200 km per year, that’s a good length of time, with regular maintenance, that you can drive a Toyota Corolla, and still have the car to pass on to the kid when he gets his license. The Toyota HiLux has the distinction of being New Zealand’s best-selling commercial vehicle, and is powerful, versatile, and reliable. 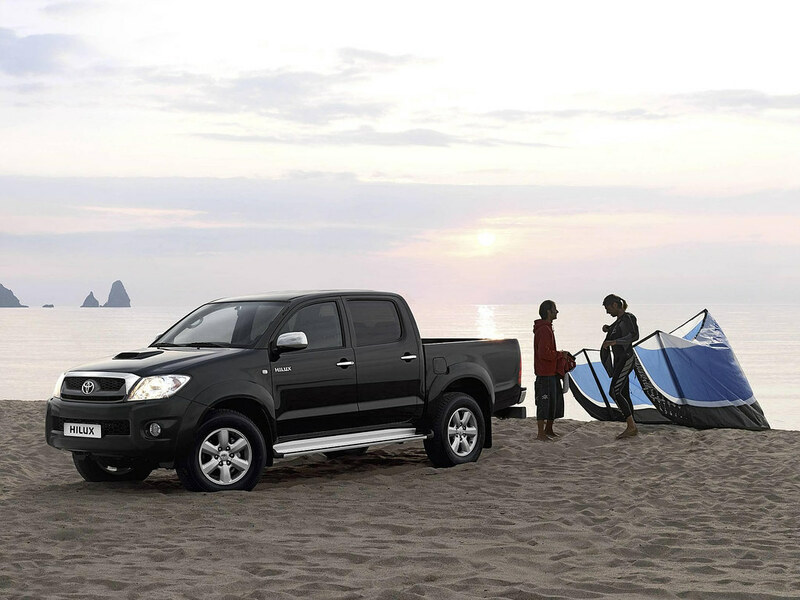 HiLux is available with different engine and transmission options, as well as four-wheel drive options. HiLux offers some of the pest performance available, including towing capacity, stability, braking, and cargo capacity for its class. Although HiLux is sold as a commercial vehicle, Toyota HiLux’s interior is more car-like than you might guess, based on outward appearances. Seating for up to five or six passengers is comfortable, and four doors make for easy access to the back seats. A fully equipped audio system and climate control are totally unlike what you’d find in other stripped-down commercial vehicles. Finally, legendary Toyota reliability backs up everything this truck delivers. The Toyota RAV4 is a crossover SUV and flexible vehicle, especially popular with the crowd that needs more space than a sedan offers, but doesn’t need the space and off-road capability delivered by a full-size SUV. On a sedan-like chassis, built slightly higher, the RAV4 offers all the comforts of “car” with some of the capability of “SUV,” but without the nasty aftertaste that comes with SUV fuel consumption. The RAV4 offers a number of advantages over the typical sedan, such as extra cargo space, better ground clearance, and better visibility. Of course, it does consume slightly more fuel, depending on model, between 5.6ℓ/100km and 9.7ℓ/100km, due to its slightly heavier construction and higher profile. It has just enough power and ground clearance to take it off the pavement but, even with all-wheel drive, it is not an off-road vehicle. It really should come as no surprise that Toyota has topped New Zealand’s best-selling lists for just shy of three decades. Toyota vehicles are built to exacting standards, some of the highest in the industry, which has ensured Toyota’s good reputation and position as one of the world’s best automakers. Reliability of Toyota vehicles is also legendary, being designed and manufactured for a 400,000 km lifespan, with proper maintenance. In fact, some are still on the road today, with well over 1,000,000 km on the clock. The most-reliable new cars, logically, make the best used cars. According to a recent survey in the UK, comparing aftermarket warranty claims on some 50,000 used cars, between three and ten years old, Japanese cars topped the list in the least number of repairs claimed. Honda took the top spot, as it has for the last seven years, followed closely behind by Toyota and Lexus. High-end cars, such as Audi and Mercedes-Benz, didn’t even make the top twenty! Whether you are shopping for a new or used car, you can’t go wrong in choosing Toyota, a proven leader in the industry. What Makes the Toyota Corolla Great?